Hardpack delivers throughout the Northeast. 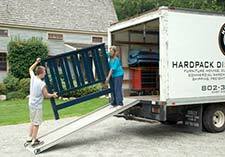 Hardpack arranges freight logistics for moves throughout the Unites States. Full packing service and materials available. Staging and house renting… stage the contents for real estate marketing purposes or move your furniture out to rent your home. Hardpack will store.